Burger fans, take note: For whatever reason, this month brings all the burger bliss. First, French restaurant Loursin has launched burger Mondays, where you can get a smashed beef patty on a soft potato roll with white onion, cornichon and raclette (only in the bar, and only until they run out). 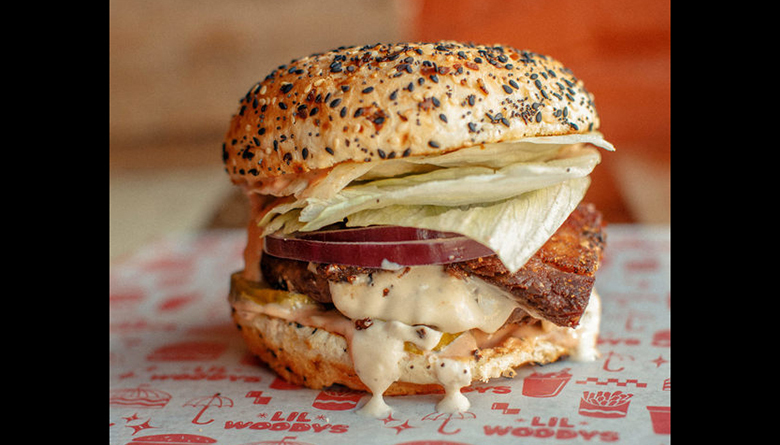 Also, February marks local burger chain Li’l Woody’s annual Burger Month, featuring the custom burger creations of four chefs (one each week). This year, chefs will be Spinasse’s Stuart Lane, Kamonegi’s Mutsuko Soma, Sawyer’s Mitch Mayers (I’m particularly excited about this one) and Musang’s Melissa Miranda. Read more about what each chef is doing here. Also, new old-school Pioneer Square burger joint Meg’s is awesome and you should go immediately. Learn more about Black History Month through food. Chef Edouardo Jordan—of JuneBaby, Salare and, now, Lucinda fame—has put together an entire month’s worth of events to commemorate Black History Month. Start by following the @junebabysea Instagram account for history lessons and stories. Then, make sure to factor these events into your calendar: renowned Southern chefs BJ Dennis and Carla Hall at JuneBaby (on Fe. 9 and 16 respectively), Woodinville-based Métier's brewmaster dinner at Salare on Feb. 17, and a talk with Dr. Jessica Harris on French Creole cuisine and people at Salare on March 2. The latter two events are by reservation—contact Salare. Celebrate your favorite local cheese. Beecher’s Handmade Cheese is throwing a hell of a party this month, with four cheese-laden events this month centered around burgers and mac ‘n’ cheese. The Beecher’s For All tour will be hitting Tacoma on Feb. 6, Portland on Feb. 7, Issaquah on Feb. 8 and Seattle on Feb. 9, with prominent local chefs from Adana, The Shambles, Cortina, Ascend and more preparing creative takes on the two classic American dishes. Tickets are $45 and include two free drinks (plus all the burgers and mac you can sample). Score a great deal at Lark. This weekend, Lark chef John Sundstrom is launching a sweet deal: braised beef short rib, crispy potatoes, grilled broccolini and a bottle of red wine for $30. (Yes, a meal and an entire bottle of red wine—bring a friend, as they say this can feed two.) The meal deal is only for the mezzanine and only for Sunday and Monday nights—plan (and reserve) accordingly. Pop up with two of the city’s hottest chefs right now. Though Little Fish still hasn’t opened (fingers crossed for 2019! ), chef Zoi Antonitsas is keeping busy by cooking her wonderful food in frequent (though not always in the same place) pop-ups. On Feb. 16, she’s teaming up with Surrell chef Aaron Tekluve to celebrate local food writer Julien Perry’s Seattle Cooks book (out since September) with a multi-course meal at Marian Built Loft in Ballard. Tickets are $150 and include a meal of the chefs’ favorite dishes, wine pairings and a signed copy of the book—which is full of recipes from Seattle-area chefs.